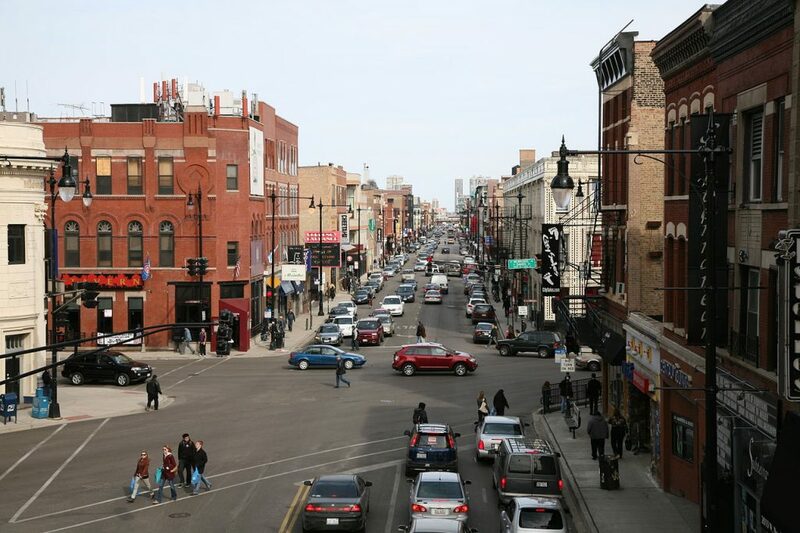 Like its next door neighborhood, Wicker Park, Bucktown is full of bustling life and creativity. Residential streets are full of refurbished historic brownstones, next to stunning brand-new buildings that offer innovative ways of living. As your Bucktown movers, we’ll help you get your new home ready, so you can begin exploring what your new neighborhood offers. You won’t have to walk far to find shopping, nightlife, restaurants, nightlife and community spaces unlike any others in the city. Of the roughly 24,ooo people who live in Bucktown, there are slightly more men than women. They have a median age of about 33, and a median yearly income of $90k. Most residents have bachelor’s degrees. Almost 40% of the population is married with children. Bucktown began to grow and develop in the mid-19th century, when both industry and commercial businesses flourished in the area. Throughout the decades, it was populated by a diverse range of immigrant groups and rising Chicago families. Like many parts of the city, Bucktown began a decline during the Great Depression, but was revived in the 1970s. It continues to be one of Chicago’s liveliest neighborhoods today. Now you’ve got the gist, here are some highlights—and basics—we found to help you start your best Bucktown life. Holstein Park: Community field house, pool, and programming. The 606: Art-accented trail for walking, running, biking and events. Gorilla Tango: Improv and comedy shows. Classes for all ages. Red Tape Theatre: Live performances of original works. Gallery Cabaret: Venue for live music and other events. Arts n Spirits: BYOB painting studio for all skill levels. Virtu: One of a kind jewelry and decor. The Red Balloon: Toys and clothes for kids. Wicker Park/Bucktown Chamber of Commerce: For community events and festivals through the year. Pizza: Sarpino’s. Chain, delivers late. Chicken: The Art of Chicken. Broiled chicken with sides. Counter service. Sushi: Coast Sushi Bar. Intimate space, BYOB. Mexican: Quesadilla La Reina del Sur. Vegetarian, health-focused. French: Le Bouchon. Classic bistro, neighborhood institution. Comfort Food: AMK Kitchen Bar. Trendy twist on classic diner eats, plus cocktails. Farm to Table: The Bristol. Unique creations from top-quality ingredients. Event space. Brunch: toast. Simple and delicious. BYOB. Late Night: Arturo’s Tacos. Open 24 hours. Beer: Map Room. Brews from all over the world. Coffee shop in the daytime. Live Music: Quenchers Saloon. Bar food and hundreds of beer options. Game Watch: Jack & Ginger’s. TVs, group-friendly food and drink specials. Game Play: WhirlyBall. Adult venue for bowling, laser tag, and WhirlyBall (played in bumper cars). History: Lottie’s Pub. Opened 1934, maintains its vintage vibe. Local: Bucktown Pub. Patio, food, family friendly. Dive: Danny’s Bar. A neighborhood fixture and homey place to dance. Aldi. European chain with low prices. Fresh Market Place: The place for produce and more. Ipsento Coffee: Quirky setting, cafe menu, and coffee classes. Ipsento 606: A sister location, serves cocktails. Little Beans Cafe: Features a playspace for kids. Churchill Field Dog Park: Inside the Playlot Park. Logan Square Dog Park: A community effort close by. Bucktown Athletic Club: Full equipment and group fitness. Bucktown Fitness Club: Local facility designed for all fitness levels. This has been a tiny sampling of the great things you’ll experience at your new Bucktown home. As a seasoned Bucktown moving company, we’ve learned all about the staples and cool places in the area. We’re happy to share more! As you’re planning your big move, cross one major thing off your to-do list, and book Bucktown movers who’ll a take load of stress off your mind. Call us at New City Moving, and we’ll help you move safely, smoothly, and on-schedule, so you can settle right in and start living your greatest Bucktown life.